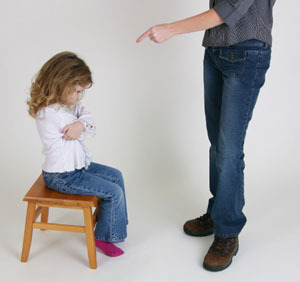 Mum-ments: Discipline, a new way of thinking perhaps? I have learnt so much about rasing a child. Not just one with a developmental delay any child. This is simply what i have learnt and what now works for us. We are now in the process of learning how to discipline them in a differnt way. I have realised that for our family the traditonal "Time out" or the "naughty step"
just isn't going too work for us. Shutting them away in their room or excluding them so they are alone shows them we have no idea how to handle their behaviour let alone their feelings. Telling them to "not come out until you can behave" or "until you are happy"
He would be left feeling even more upset and confused. However a differnt kind of "Time out"
Obviously making sure your child is safe first! To collect yourself and your thoughts and how you will handle the situation. "I am bigger, stronger, wiser and kind"
So taking a time out for yourself and even the child is benefical. I can now come back to them and we can focus on what's happened. Help find the words for the feelings they are experiencing and talk about how it made me feel. we can commincate and i can find out whats really going, what they are feeling. there will be no blaming another. And we will talk out loud about a differnt way of handing the problem next time. They may not understand at that very momment what i am saying but it will help in the long run. and i started thinking about discipline at school. The "withdrawl rooms" "time outs" and "detentions"
I dont think i want my boys being excluded into a room where they are not learning why they are there. Simply being told "no you can not do this" or "you didn't do your homework"
and that the easiest way to do that is to send them away. I know there is no alternative but for me being an involved parent to the point of being called down to the school to discuss what has happened is a better alternative to isolation. Find out the real reason behind why they did whatever they did. I want to let them know its not ok what happened and help them to understand why they felt they had to do it, to understand what they were thinking and what emotions they were feeling. Some of you may be reading this going but hang on how will your child learn right from wrong. They will learn from experience and from my self and partner talking to them. It may seem like a soft approach but words are powerful. A child needs to understand something before they learn it. So this method will give us alot of support in heping him to understand. The biggest thing i need to remember that no matter how i feel my boys still need me. So, what are your thoughts on discipline? And what works in your house? Please remember no judging we are all in this together. And what is right for one is not always right for another and that is perfectly OK!